Domesday Book records a church and a priest in Staunton, then called ‘Stanton’ but which has afterwards been called Staunton-in-the-Vale, or simply ‘Staunton’. The church comprises a wide nave with north aisle, a south porch, chancel with north vestry, and tower positioned at the north-east angle between nave and chancel. The core of the nave fabric probably dates from the C12th, attested by the over restored south doorway; there is also a font of C12th date with intersecting arches. The north aisle piers date from the C14th and may possibly have been built after the Will of Sir William Staunton made in 1312 where it stated that ‘…he gave liberally to … the church and poor in his own town …’ The unusually positioned tower appears to be largely C14th work and has a number of puzzling archaeological anomalies. Between nave and chancel is a rood screen from 1519. The old clock is an unusual example of Richard Roe’s work and the case is inscribed ‘Rich Roe Fecit in Eperstn 1707’; it is covered with pencil graffiti from the C19th and early C20th made by stable boys who came to wind the clock. The bells date from 1604, 1742, 1738, 1827 (x2) hung in a wooden frame of 1853. 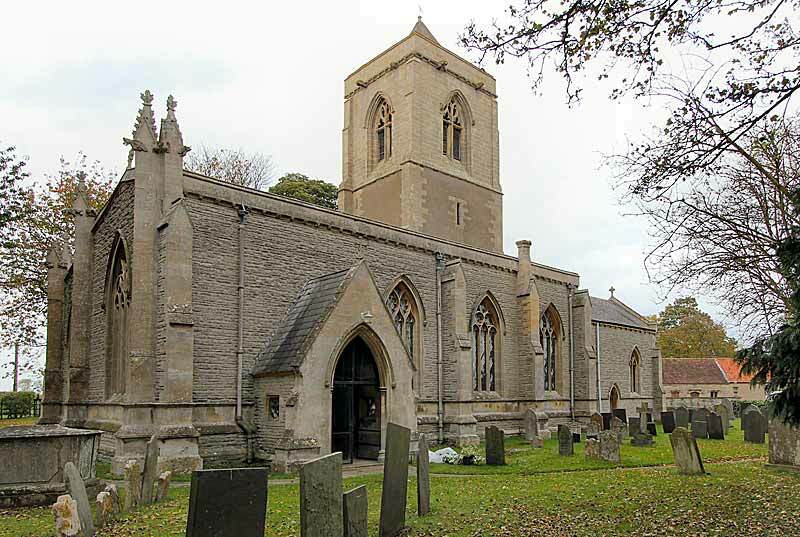 There was a major restoration in 1853-4 by Edward Willson of Lincoln, when the chancel, the nave south and west walls, and the south porch, were rebuilt. In the south of the churchyard, until 1857, there stood a separate building known as the Staunton Chapel, built c1346 (attested by the Will of Symon, rector of Staunton, who left £10 towards its construction). This was an extra parochial chapel belonging to the neighbouring parish of Orston in the Bingham Hundred.